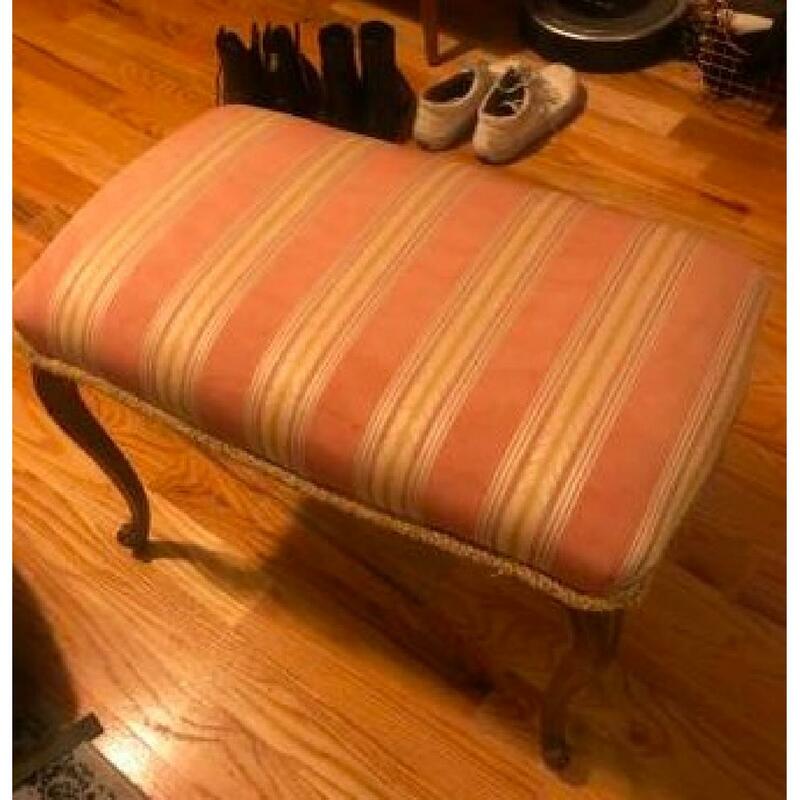 Antique ottoman my grandfather re-upholstered himself. 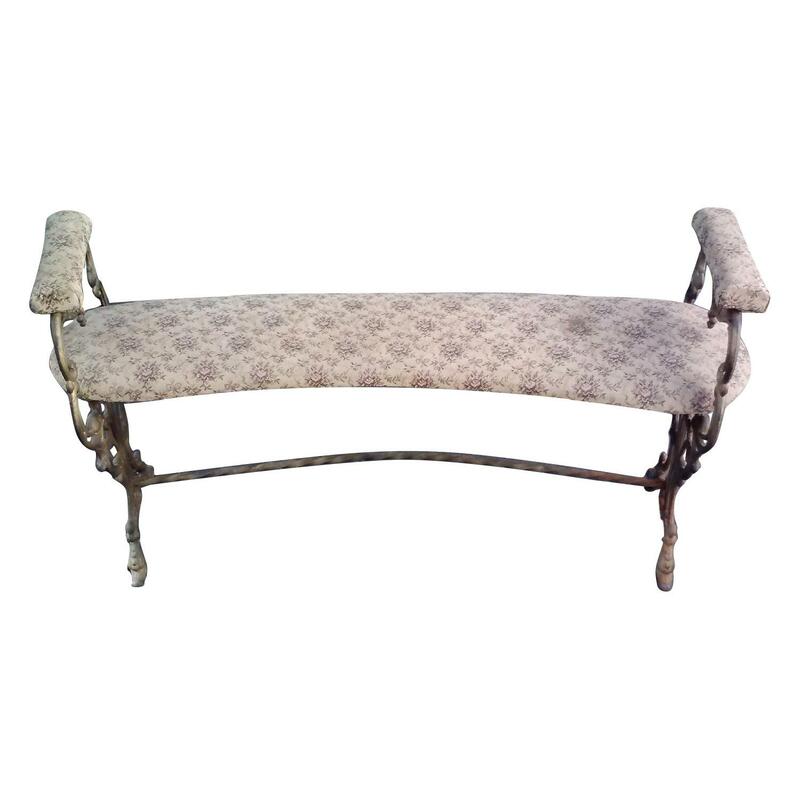 It's definitely seen some wear and tear, but it's a lovely accent piece or entryway bench. 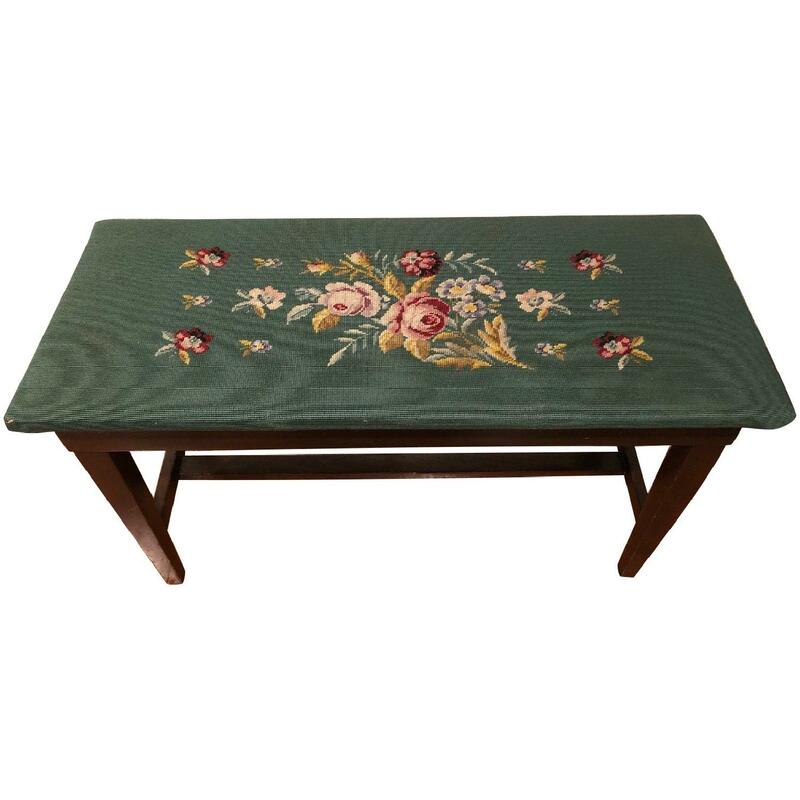 In one apartment, I kept it as a reading nook--in another, at the entrance to our apt so we could sit on it to put our shoes on in the morning. 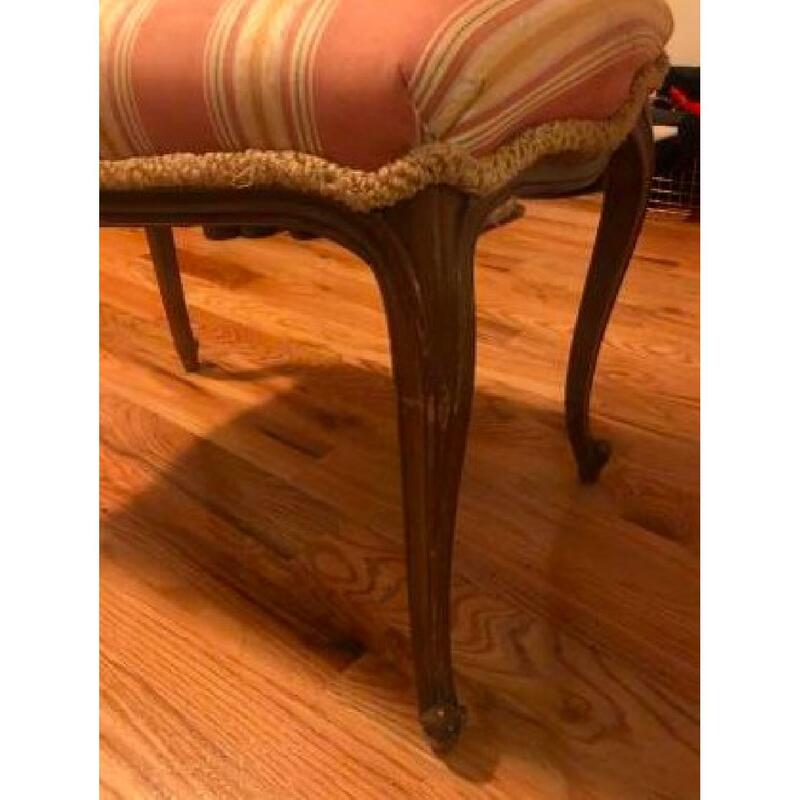 It's kind of useful any and everywhere--I just don't have room for it anymore, but it's been in my family for at least 50 years. 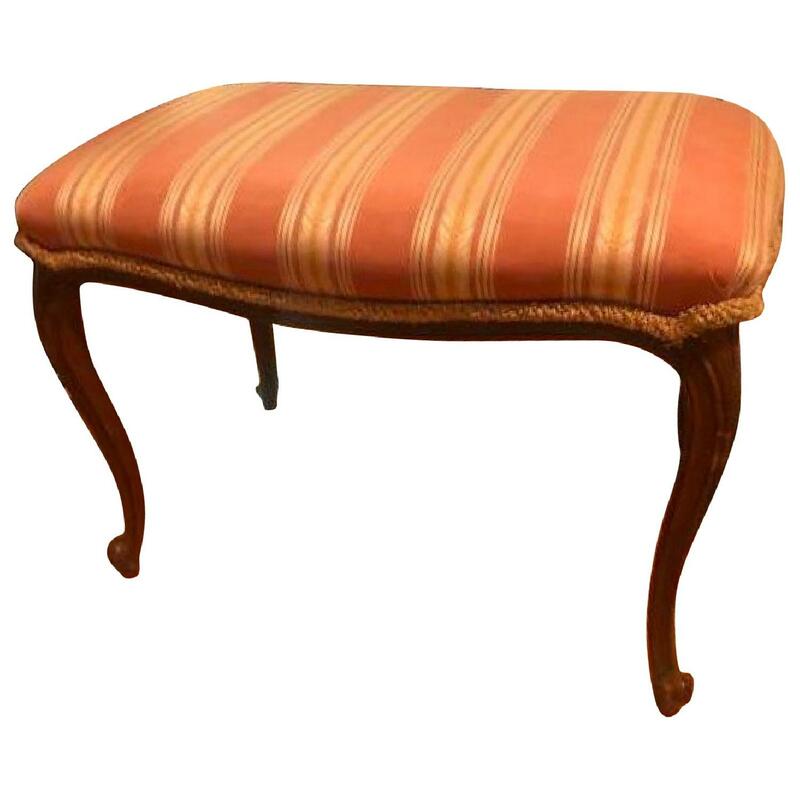 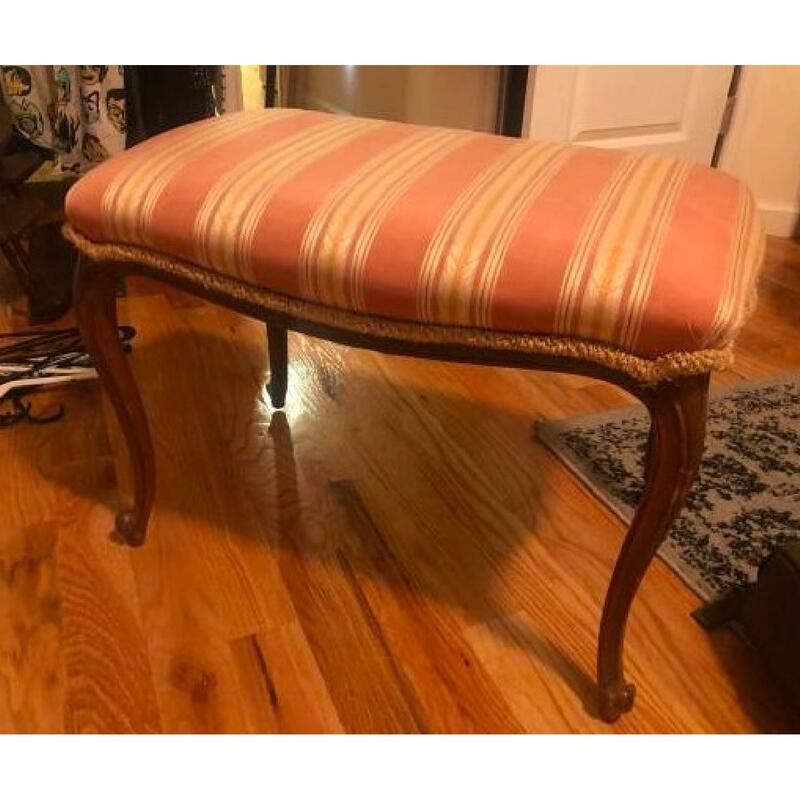 Pink and gold striped fabric, light wood with nice detailing and carved feet. 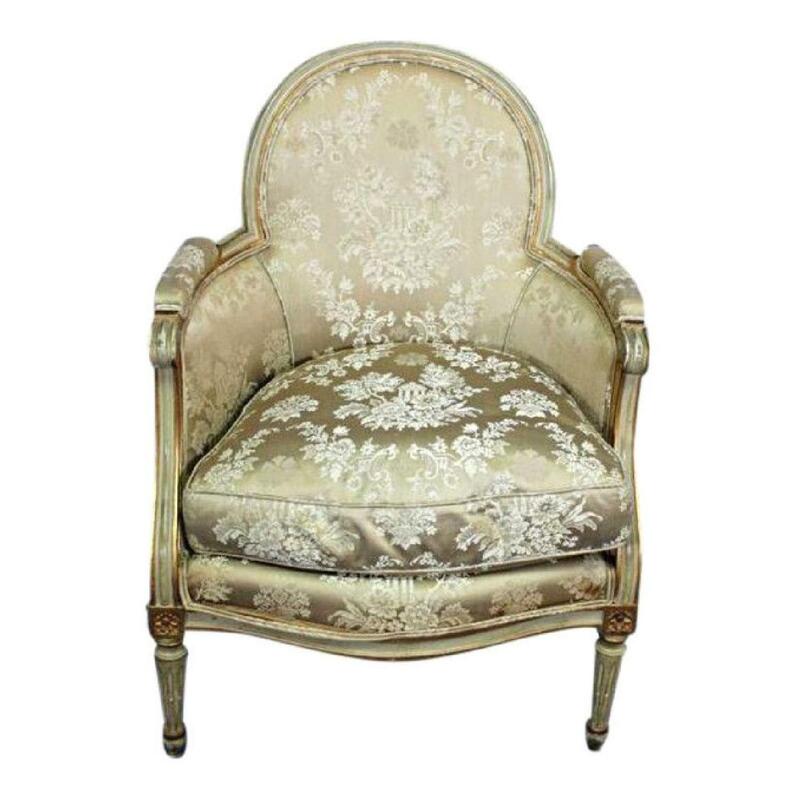 It's an antique that just needs a bit of love--there are no serious flaws.